Hello again! Do you ever have that though of ‘Oh, I am going to make sure I ask Dr. Matt about that toothbrush he displays in his office when I see him next’….in six months…at my child’s next cleaning. Fast forward and imagine you are out running errands and you see that toothbrush at Target and you just aren’t positive you want to spend the money on it until you have had the confirmation from Dr. Matt and his team that ‘Yes, it is worth the money!” Fast forward again to the six month cleaning and uh-oh, your kiddo has a cavity. Ugh! I am here to tell you that yes, the Sonicare for Kids toothbrush is worth the investment. Better yet, your child’s teeth are worth the investment. We highly promote preventative care to every child Dr. Matt sees by telling them they need to make sure they are brushing twice a day, for two minutes and making sure they are flossing regularly. Why not provide them with the best tools available? In a recent clinical study supported by Phillips Oral Healthcare, Snoqualmie, Washington, comparing Sonicare for Kids power toothbrush and Oral-B’s Stage 3 manual toothrush. 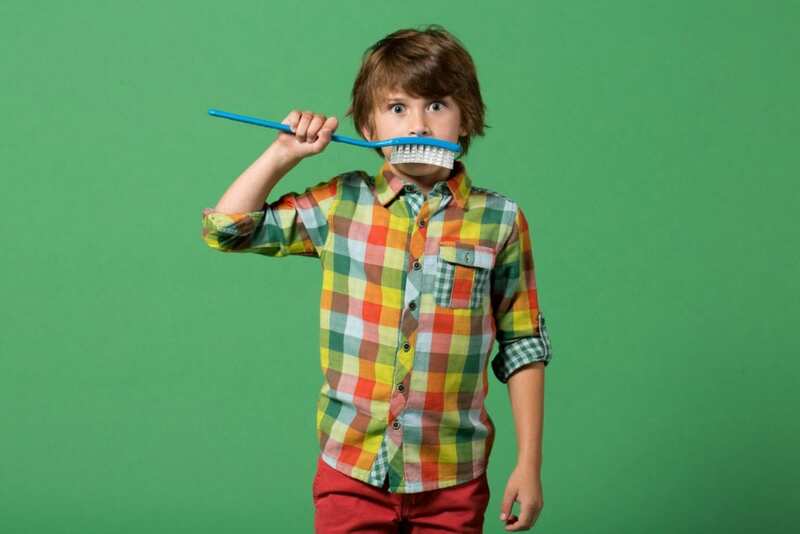 It shows that Sonicare for Kids removed significantly more plaque (12-18%) than the manual toothbrush. It also showed that the use of a Sonicare resulted in not only cleaner teeth, but also shorter brushing times for children. Since most children spend an average between 50-70 seconds brushing their teeth, we highly recommend the use of the Sonicare for Kids electric toothbrush. Make sure that you download the app on your child’s tablet for constant entertainment and direction. We are firm believers that if you can make brushing interesting for your children, the more they will enjoy doing it instead of looking at it as a chore. HAPPY BRUSHING!